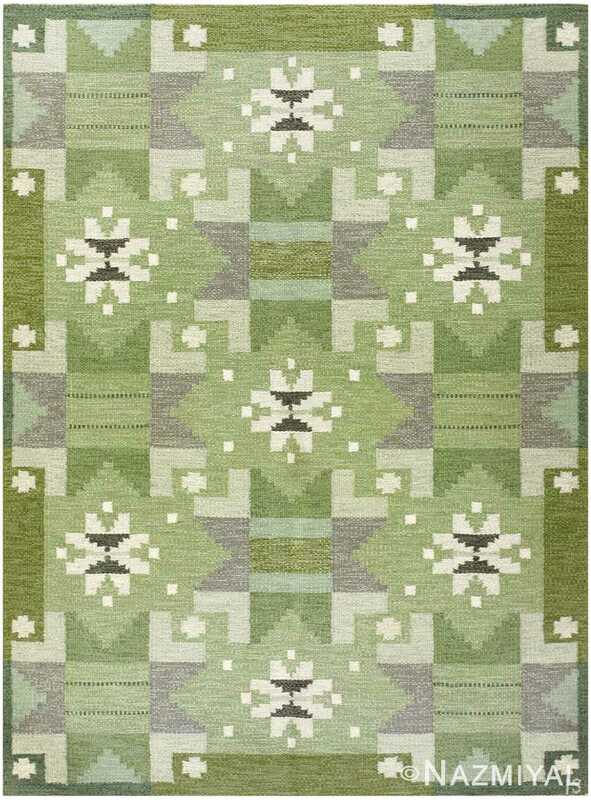 Vintage Swedish Kilim Carpet by Ingegerd Silow, Origin: Scandinavia, Circa: Mid-20th Century – A beautifully woven vintage Swedish Kilim, designed by Ingegerd Silow. 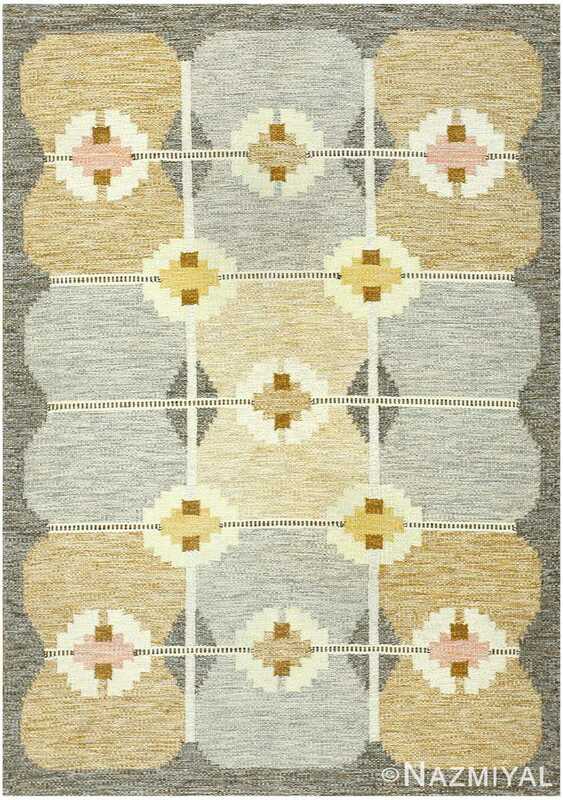 Featuring a bold and striking design characterized by pastel autumn colors, this rug is a striking example of a popular and noteworthy Scandinavian rug style. 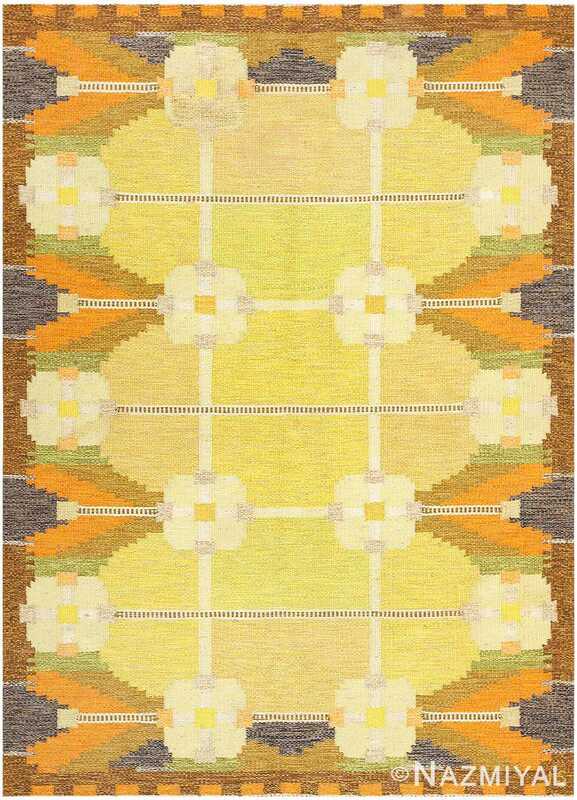 Representative of certain common trends in mid-century Scandinavia, this rug’s simple and straightforward geometric patterns that border a simple field of yellows and creams create a pleasingly symmetrical decoration. 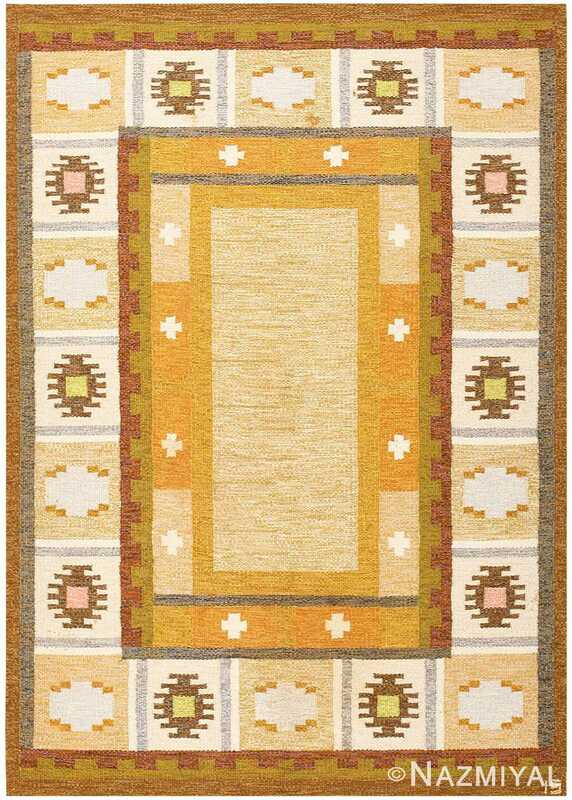 A warm border of orange-brown frames this rug, beautifully encapsulating the lovingly crafted designs that are a demonstration of the carpet designer’s skill and mastery of the Kilim style. This carpet is an altogether heartwarming composition.